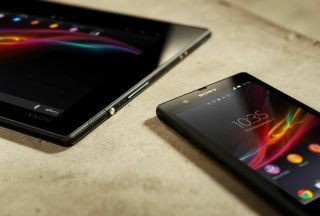 Sony reveals plans to launch fewer TVs and smartphones | What Hi-Fi? Sony has revealed that it's planning to streamline its TV and smartphone ranges in future, with the Japanese tech giant facing increased worldwide competition in both areas of the market. The corporation's mobile struggles may come as a surprise given the strong showing from both the Xperia Z2 and Z3 handset, but that division of the business has seen losses mount. Meanwhile, the TV segment is also facing the squeeze from greater competition and Sony now hopes to revive its fortunes with the development of fewer, but more profitable products. Sony's mobile division has taken a significant hit during the current financial year with a ¥176bn (£948m) impairment charge, while it has also seen a slowdown in the high-end market. Its plans for the future include the streamlining of its product portfolio and improving efficiency in its hardware and software development, with the aim of boosting cost "competitiveness". According to Reuters, it's also expected that further information about the future of Sony's mobile division will be announced by the end of March 2015 as it seeks to reverse recent fortunes. Meanwhile, Sony's plans for the TV business includes a 30 per cent cut in its product range over the next three years and "further improvement in design efficiency" among others. It's not all bad news for Sony, however, with its PlayStation continuing to be a source of cheer – thanks mainly to the PS4. And its one part of the business that Sony has high hopes for. With the aim of retaining and increasing PlayStation users, Sony is adding new services such as PlayStation Vue (above). It also hopes to achieve gaming sales worth up to ¥1.6tn (£7bn) by FY 2017.